Just to give you a quick TL;DR: We’ve just made some huge changes to our ThemeIsle membership plans: (1) We’ve opened our doors to third-party themes, (2) all of our plugins are now included in every membership plan, (3) fast support – max 4 hours to first reply. Ever since Zerif Lite has been restored to the WordPress.org repository we’ve been hard at work rethinking our ThemeIsle membership plans in an effort to be more in tune with what our users actually want and have been asking for. The no.1 thing that’s on everybody’s mind, as you’d imagine, are new themes and plugins. Long story short, we have those for you! First of all, if you’re already a customer, just go to your Purchase History to check out what’s available. We’ve partnered with two of the best theme creators in order to open up to new niches. Four new themes from ProteusThemes and Anariel Design are being added to our yearly ThemeIsle membership plans. 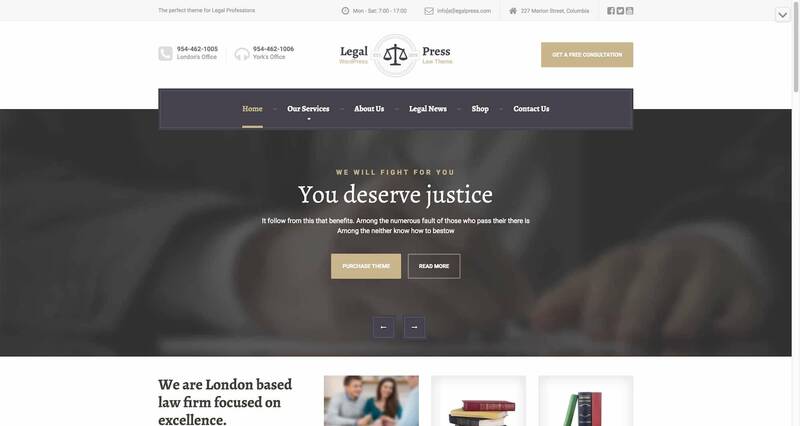 LegalPress is a new theme dedicated to lawyers, consultants, and financial firms. 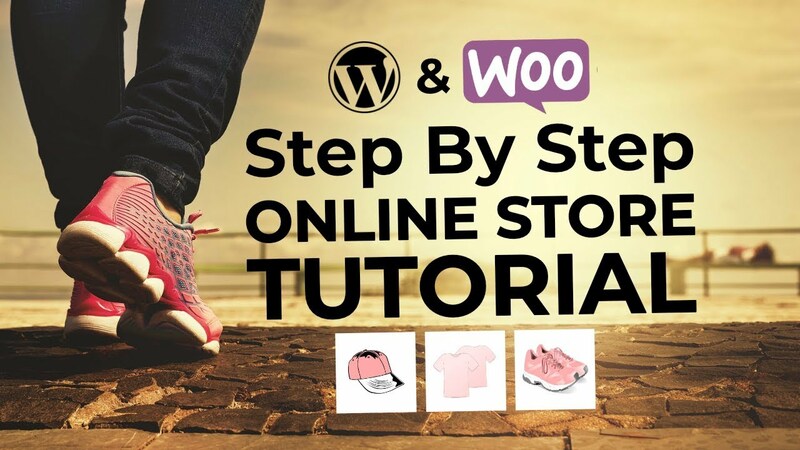 The theme is highly customizable, so you can actually set it up for any type of business. 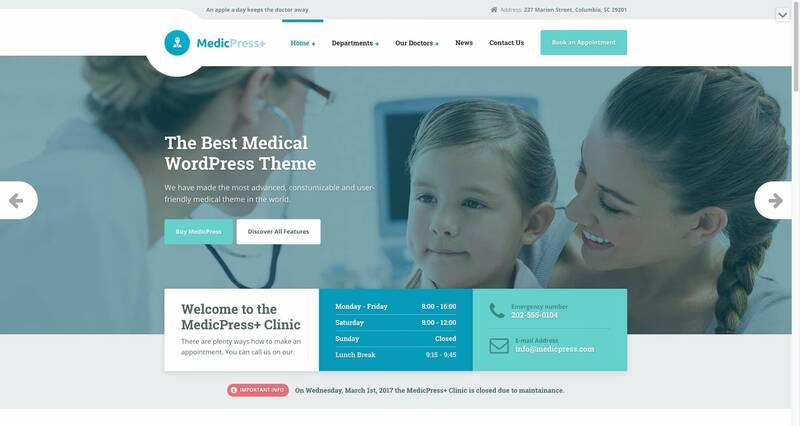 MedicPress is a new medical theme for doctors, dentists, surgeons, hospitals, and clinics, suitable for any healthcare institution. Next, we’re equally excited to have Anariel Design bring four of their beautifully designed themes into our ship. To get started, you get to know their non-profit/charity and fashion blog themes. But there’s more stuff on the way – a new restaurant theme, for example. 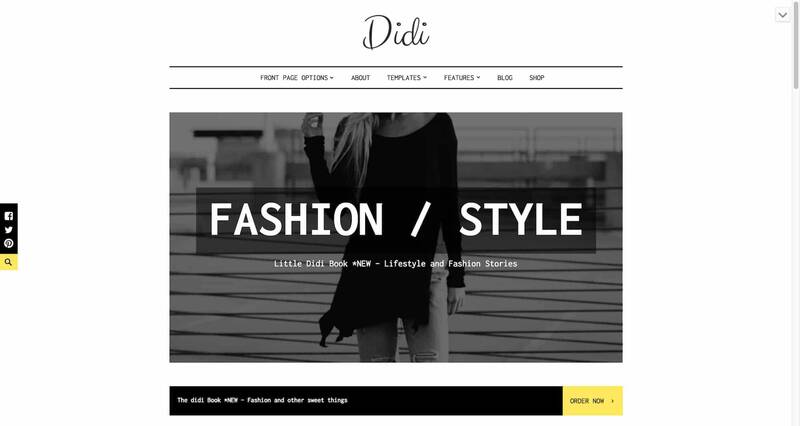 Didi is a great match for fashion, lifestyle and magazine style sites. We love the style of this blog theme with its clean modern layout and beautiful typography. 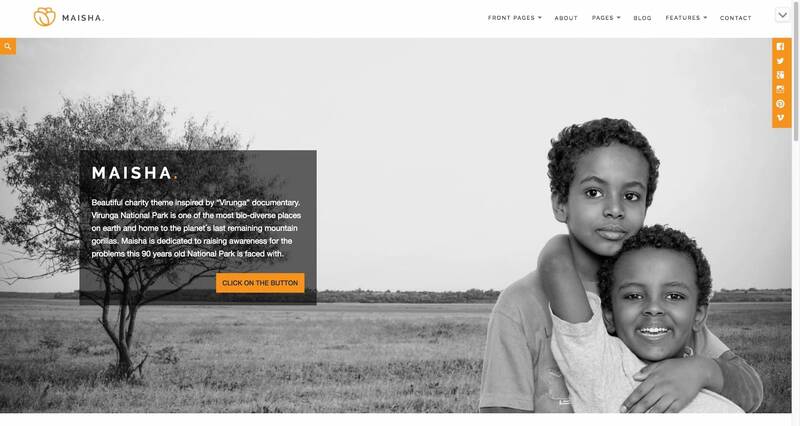 Maisha is a beautiful and easily customizable theme, optimized for charity and non-profit websites. Its design is inspired by the Virunga documentary. 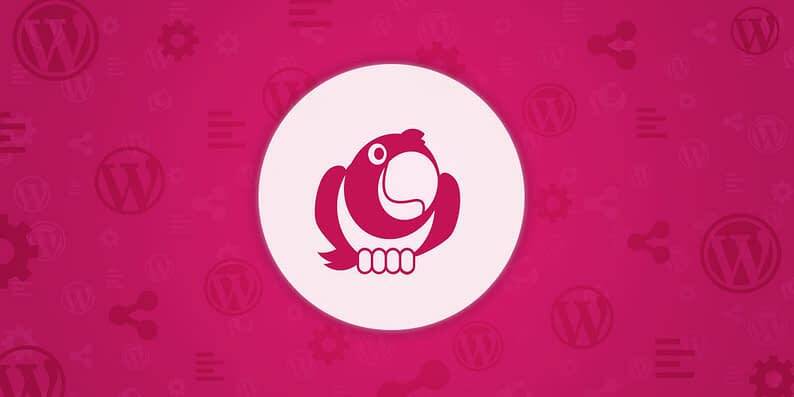 Our complete library of premium WordPress plugins is now available in every membership plan. 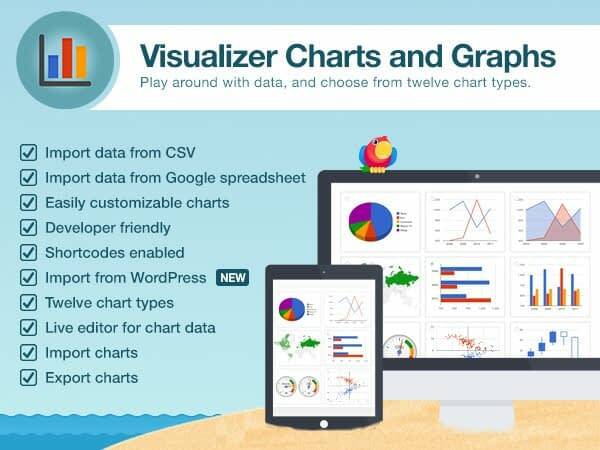 Visualizer lets you create beautiful interactive charts and embed them in your WordPress posts or pages. Up to 12 different charts available … pie, line, bar, timeline, you name it. AdBlocker Notify detects an ad blocker working in the user’s browser and lets you ask them to perhaps deactivate it. Simple. 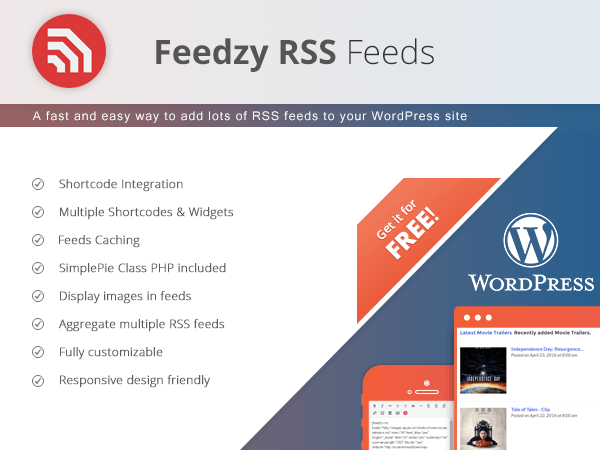 Feedzy RSS Feeds allows you to display content from RSS feeds in your posts, pages, and custom post types. You can do so via shortcodes, widgets, and even import content to new blog posts directly (“RSS to Post”). In addition to new themes and plugins, we’re also improving the support experience for all pro membership packages. Priority support now guarantees first reply within four hours. 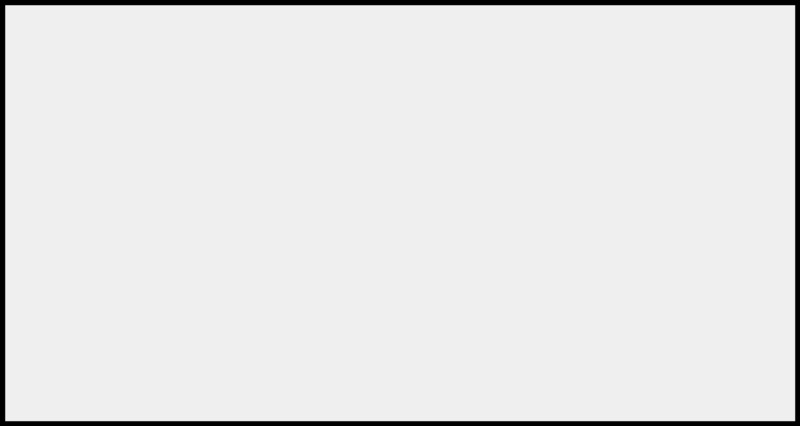 Best of all, this priority support also includes the newly added third-party themes – Didi, Maisha, LegalPress, and MedicPress – and will apply to all new themes added in the future. We’re really excited about these changes and the opportunity to feature awesome new themes in our offer. We also hope that these new plans will encourage you to experiment with our premium plugins. Let us know what you think of our new ThemeIsle membership plans and what else we can do to improve. Cheers!